As Eden continues to cement his reputation as one of the Premier League’s brightest stars, brother Thorgan is making waves of his own. 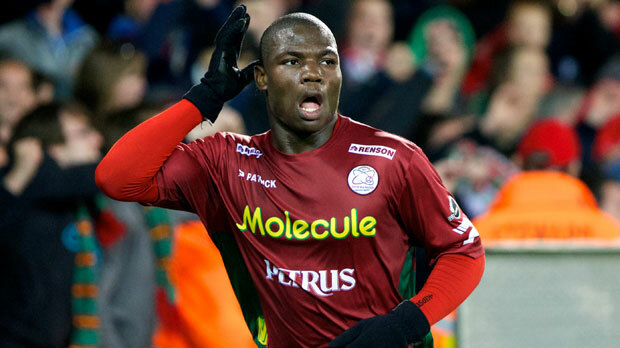 Indeed, Francky Dury, his coach at Zulte Waregem, declared last week, “He is no longer Eden’s brother. He is Thorgan Hazard in his own right”. Now in his second season on loan at the Belgian side, Hazard was recently awarded the Golden Show Award for the best player in the League. 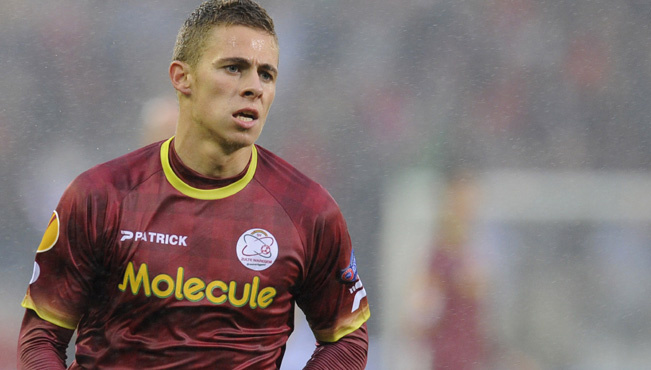 Sharing his brother’s creativity, Thorgan has become the main playmaker at Zulte and has also stepped up his goal-scoring capability this season; he now has 11 goals in all competitions. Although a prospective move to Anderlecht recently collapsed, he still harbours hopes of being included in the 23-man squad for Brazil building on the sole international cap he gained last May. If Chelsea cannot accommodate him, a repeat of the ‘de Bruyne situation’ seems likely; Thorgan Hazard has all the makings of a great player and could be playing for a top club sooner rather than later. PSV’s diminutive forward made the headlines in August when he became the youngest player to score a hat-trick in the Eredivisie, with three goals against NEC Nijmegen. Hailing from the same district of Liege as Christian Benteke, Nacer Chadli and Axel Witsel, Bakkali came through the youth ranks at Standard before agreeing to join PSV in 2012. Faced with the choice of playing internationally for Morocco or Belgium, national team coach Marc Wilmots fast tracked him into the squad for recent friendlies against Croatia and Wales. He has been dubbed the ‘next Hazard’ and is a keen dribbler who likes to cut inside. All Bakkali can do for now is get more games under his belt at PSV, where most of his recent appearances have come from the bench. Batshuayi’s was a name linked with several English clubs during the January window and it’s little wonder why. With a highly impressive 17 goals, he is currently the leading scorer in the Belgian Pro League for a Standard Liege team who are top of the table. 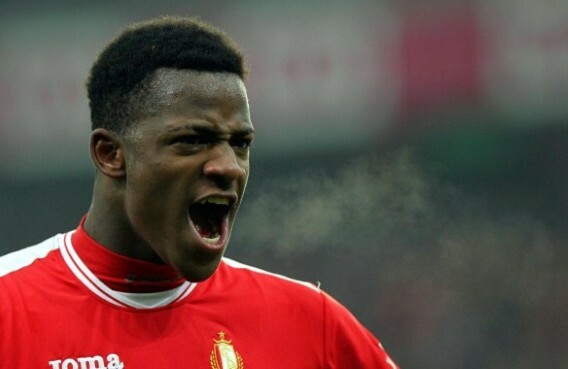 A powerful striker with pace in abundance, Batshuayi appears to have matured significantly since his problematic teenage years spent at Anderlecht. While he has five goals in 10 caps at U21 level, he is yet to make a senior appearance. If he carries on with this form though, expect that to change. Should Wilmots need to inject some enthusiasm from the bench in Brazil, Batshuayi would be an able deputy to Christian Benteke and Romelu Lukaku. Wolfsburg have just recalled Malanda half way through a one-year loan deal at former club Zulte Waregem, where he had signed from last summer. The 19-year-old is a typical tough-tackling defensive midfielder who operates best in front of the back four. Malanda has clearly done enough so far to impress his parent club and Wolfsburg’s sporting director Klaus Allofs has claimed that, “Despite his age, Junior Malanda is a player who has the necessary experience”. He will now join up with Kevin de Bruyne in the Bundesliga, who has recently signed from Chelsea for £17 million. Having started his career as a centre back or right back, Malanda could prove versatile backup. However, he will need a sustained run at Wolfsburg if he is to put himself in contention for Brazil. An integral part of the Monaco side who got promoted last season, Carrasco has done well to hold his own around the world class talent accumulating in the South of France. Blessed with incredible pace and the ability to take people on, his manager Claudio Ranieri has described him as a player of “frightening quality”. Following his ankle injury at the end of the year, he has lost out to an in-form James Rodriguez and recent appearances have come from the bench. 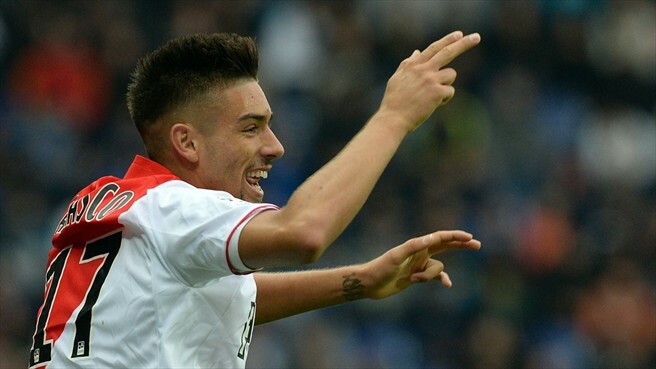 However, Carrasco remains highly-regarded and is a key player in Belgium’s U21s. He will be high on Wilmots’ shortlist if any of his array of attacking talent pick up injuries in the run-up to the World Cup. This article has been sponsored by www.belgiumtowineuro2016.com – a fan site dedicated to the Belgium national team offering news, match previews and Belgium World Cup odds. Thanks to the Ligue 1 Show’s Chris Peilow for info on Carrasco. This entry was posted in Analysis and opinion and tagged 2014, 5. Yannick Ferreira Carrasco, belgian, belgium, brazil, junior malanda, thorgan hazard, world cup by Hugo Greenhalgh. Bookmark the permalink.